Stephen Chandler, a painter at Fleet Readiness Center Southeast, applies masking to the aircraft skin of an F/A-18 Hornet at the engine finish shop Nov. 13. The masking protects a desired area from the effects of chemical milling. Bubbles of hydrogen gas boiled and rolled as electroplater Marissa DeMent dunked a new piece of what will become an F/A-18 Hornet’s aluminum exterior component into a chemical bath at Fleet Readiness Center Southeast in Jacksonville, Fla. The process, known as chemical milling, or “chem milling,” makes it possible to manufacture new aircraft parts of varying thickness quicker and more efficiently. Traditionally, grinders and bits are used to shave or thin areas of aluminum out of a larger piece. Chem milling uses chemicals to do the work. FRCSE engineers and chemists started the program nearly from scratch in the short span of six months. 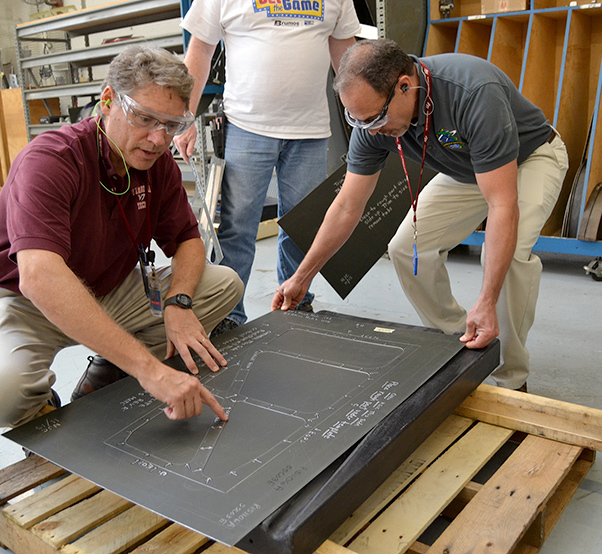 Instead of waiting months for parts like panel covers or exterior panels, known as “skin” to be located and shipped by a supplier, virtually any aircraft part made from sheet metal can now be produced at the facility in just days. “Before we started, we did an assessment to see if people were just wishing we had the ability to chem mill or if there was a true need,” Benfer said. 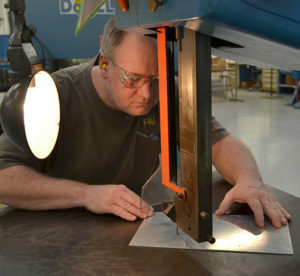 “We noticed there were a lot of requests from our production guys to manufacture items for the F/A-18. We found out there were dozens of parts they needed that we could chem mill. 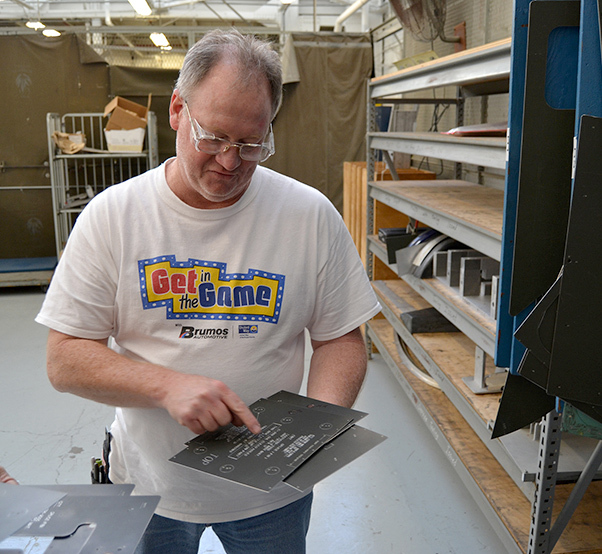 Dale Holt, an aircraft tooling maker at Fleet Readiness Center Southeast Pattern and Layout Shop, points out specifications on templates he created for parts to be manufactured using the facility’s new chemical milling process Nov.13. Once Benfer and his team realized the need, they went to work. However, the group made up of chemists and engineers had almost no experience with chem milling. Their main roll is running FRCSE’s Corrosion program. Chemist Ruben Prado began the task of designing the process in June 2014. “It was basically a blank sheet of paper,” Benfer said. “After he wrote it up, everyone just went full force to get it done. 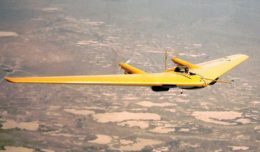 Now that the parts are beginning to move, a dedicated group of painters, tooling makers and other artisans have swung into motion. But before a part can begin its route down the production line, a metal template has to be made. “That’s why pattern and layout has been so crucial in all this,” Benfer said. “All they have is a two-dimensional print of a certain part and, somehow, they have to take that and make it into a template. The templates at the pattern and layout shop hang like an art gallery for machinists and engineers. With neat, white lettering and measurements on a black surface, the template is like a road map that walks artisans through every step of the part’s manufacturing. It’s especially crucial with chem milling. The tiniest detail has to be right, exactly right, from the bend to taking into account how the chemicals mill not only down but out. “These templates really have to be precise for chem milling,” Dale Holt, an FRCSE tooling maker, said. “But most of the time, chem milling works better than milling mechanically. It’s better for stress relief on the material, better for milling formed parts, and it doesn’t distort during the heat treat process. Fleet Readiness Center Southeast Materials Engineer Jack Benfer, left, and Chemist Ruben Prado, look through templates created for aircraft parts being chemically milled. Benfer and Prado helped bring the new process, which dramatically decreases delivery time for certain parts, to the military depot earlier this year. Part of the reason the chemically milled parts hold up so well is in the metal itself. The F/A-18 exterior panel that DeMent dunked in the tank began as raw stock – sheets of a special aluminum called MRS, or minimal residual stress. Regular sheets of aluminum can’t handle the stress and bends or warps when material is milled out of it. After a brief stop at pattern and layout to be cut down to smaller sections, the part’s first stop is the FRCSE Engine and Finish shop where painters like Stephen Chandler spray them with a special masking. 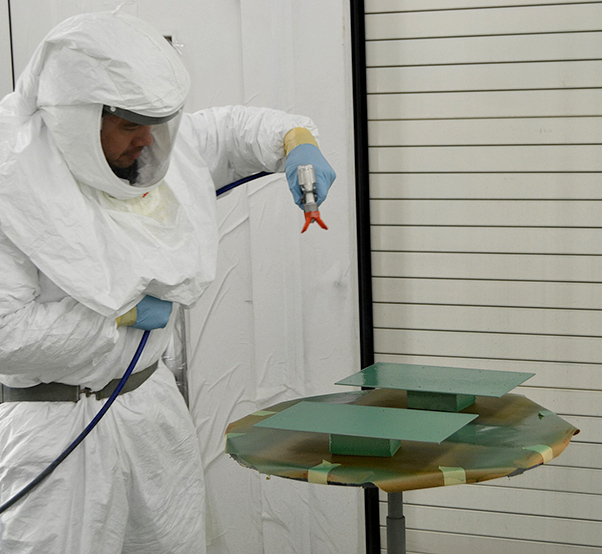 Artisans spray the green masking over the entire piece to protect everything engineers want to keep from being milled. After the piece is sprayed, it moves to the plating shop. There, DeMent used Holt’s template to etch away the masking from the parts to be milled. A steady hand is a must for tracing the outline of the template with a razor knife. The slightest mistake can cause the whole piece to be scrapped. “I’m glad she’s doing it and not me,” Engineer Technician Rodney Williamson said. “She can make a light scribe into it, but it has to be very light. She has to be able to go through until she feels the knife pierce the masking and touch the metal. If you don’t go through far enough, when you peel that masking off, it’ll mess up the part. When DeMent finished cutting away the masking, the part was ready to be milled. As soon as the metal hit the chemical bath, it began to boil like an Alka-Seltzer in water. Fleet Readiness Center Southeast Aircraft Tooling Maker Dale Holt cuts off the excess aluminum from a chem-milled part in the layout and manufacturing shop Nov. 16. After it is sanded, pre-treated and primed, the part will be ready to return to the fleet. With a timer set and the chemical bath at precisely 190 degrees, Williamson and DeMent each did the math to determine how much time the piece needed to stay submerged – then they checked their math against the others. When the time was up, DeMent pulled it out. Using an ultrasonic thickness gauge, it was time to see if their math was right. The result was exactly .040 inches, precisely where it needed to be. With the right portions of the part milled to the right depth, the part was ready to be finished off. Dale Holt cut the final outline of the piece and smoothed down the edges. 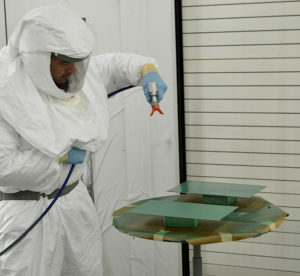 After being chemically pre-treated and primed, the part will be ready for installation – all in the course of a few days. “Until we stood up our chem milling capability, it really limited our ability to get some of the parts we needed,” F/A-18 Production Lead Monty Pearce said. “Typically, we discover a part is damaged, beyond limits or corroded.